Despite lingering doubts, a 'definitely beautiful' site has drawn tourists, investors and even skeptics. 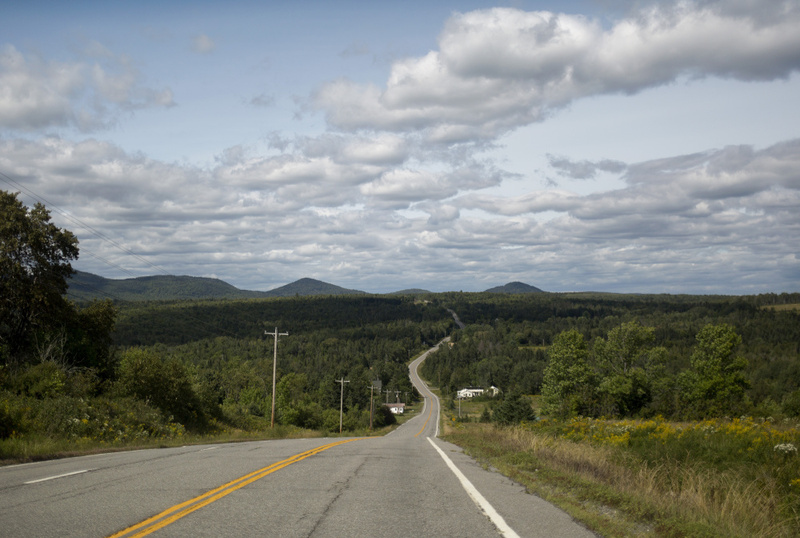 TOWNSHIP 2, RANGE 8 — They had come from as far away as New York’s Long Island and as close as Mattawamkeag, navigating extremely “unimproved” roads with minimal signage to find the national monument nestled in Maine’s North Woods. 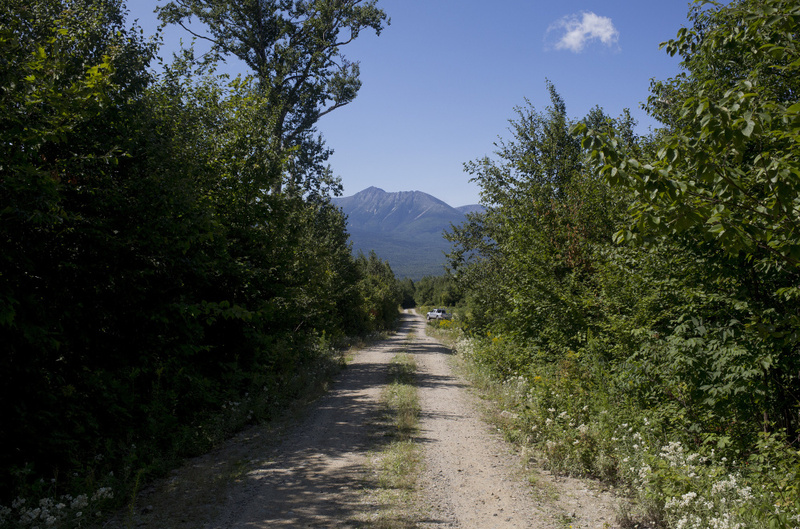 For years, Mainers had debated – and debated – whether a tract of Quimby family land near Baxter State Park was worthy of designation as a national park or monument. President Barack Obama ended that discussion on Aug. 24, 2016, when he designated the park as Katahdin Woods and Waters National Monument. Or so supporters had hoped. 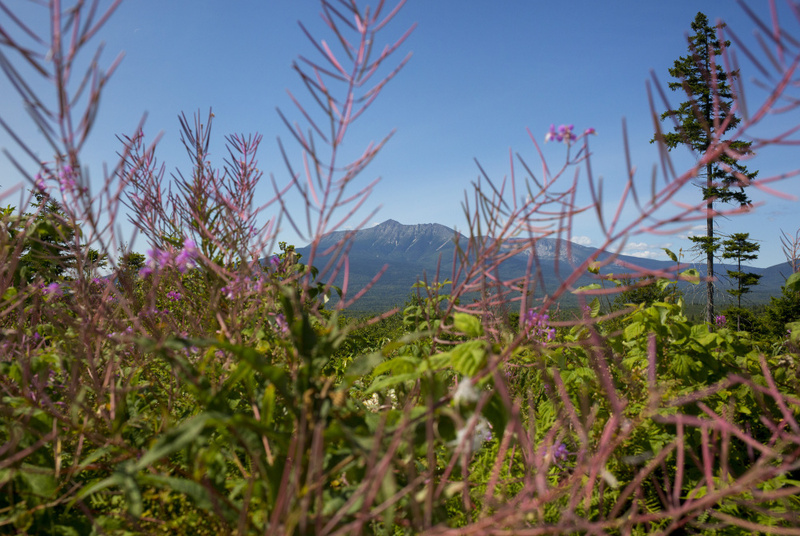 This Thursday marks both the one-year anniversary of Katahdin Woods and Waters’ creation and the due date for a report to President Trump that could shape the future of Maine’s newest national monument and more than two dozen others across the country. 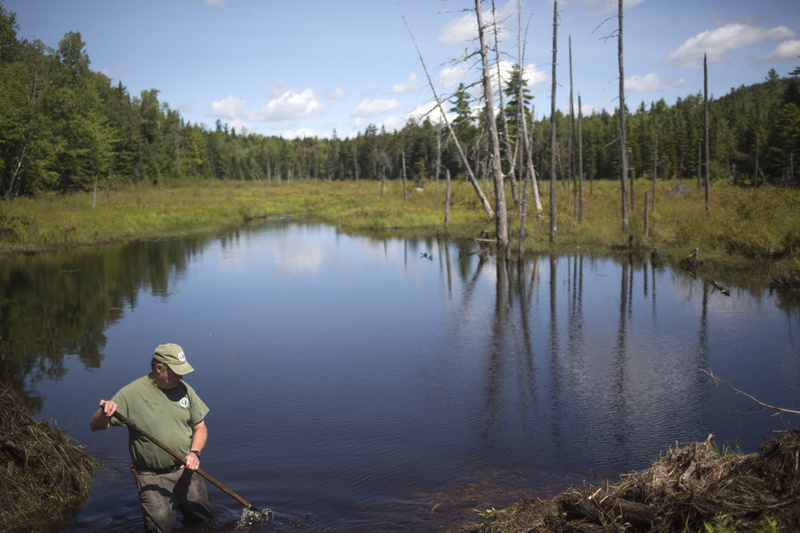 While Interior Secretary Ryan Zinke is not expected to recommend shrinking Katahdin Woods and Waters or reversing the designation, he could suggest changes such as opening areas to timber harvesting or allowing additional snowmobiling to address critics’ concerns. One year after the designation, it’s clear that some supporters’ predictions are coming true. There are currently no fees or mandatory registrations to enter the monument, so it is impossible to say how many people have visited. 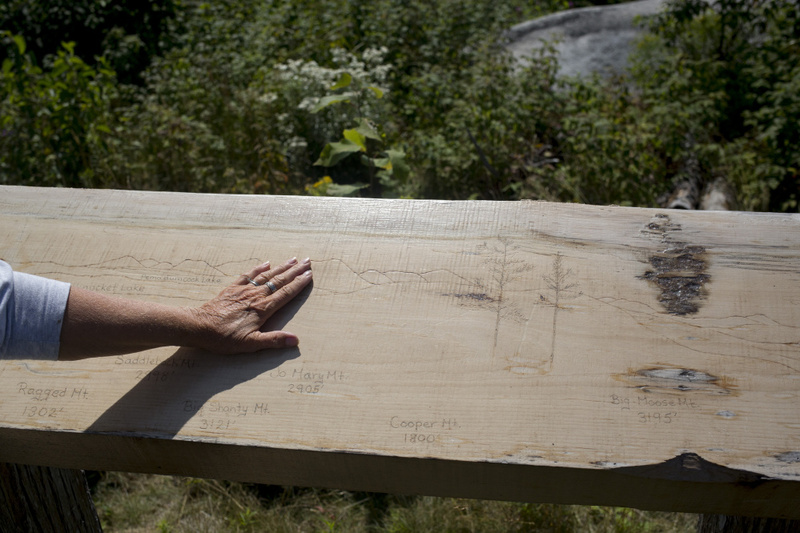 But more than 2,000 vehicles have passed through the monument’s southern gate while roughly 1,200 people, representing 42 states and a half-dozen countries, have signed visitor logs at visitor centers in Millinocket and Patten. That’s a mere fraction of the estimated 3 million-plus visitors to Acadia National Park last year. Yet the several thousand visitors to Katahdin Woods and Waters found the place despite the fact that the administration of Gov. Paul LePage, an outspoken opponent, has refused to erect any signs on state roads directing visitors to the monument. “It’s obviously a tough place to get into,” said Tom Smith, a Ledyard, Connecticut, resident who took a day trip to the monument from a family member’s home in nearby Island Falls. 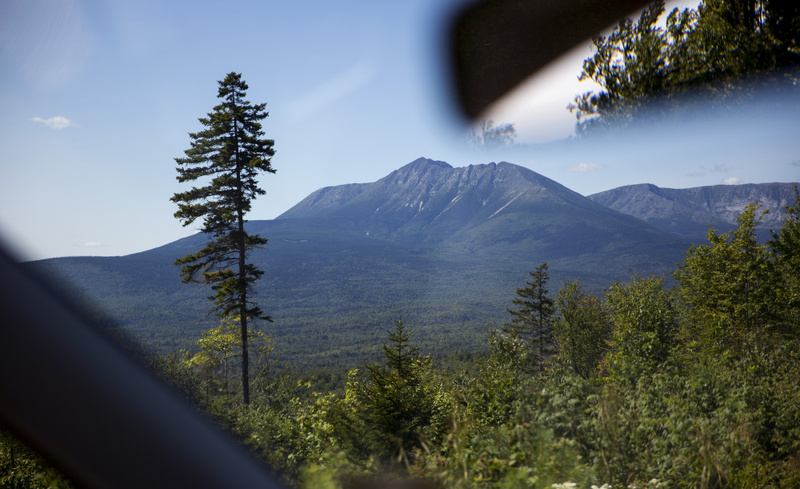 As with all visitors to the monument, Smith had to drive on private logging roads and then along the monument’s rocky and jostling dirt Katahdin Loop Road. 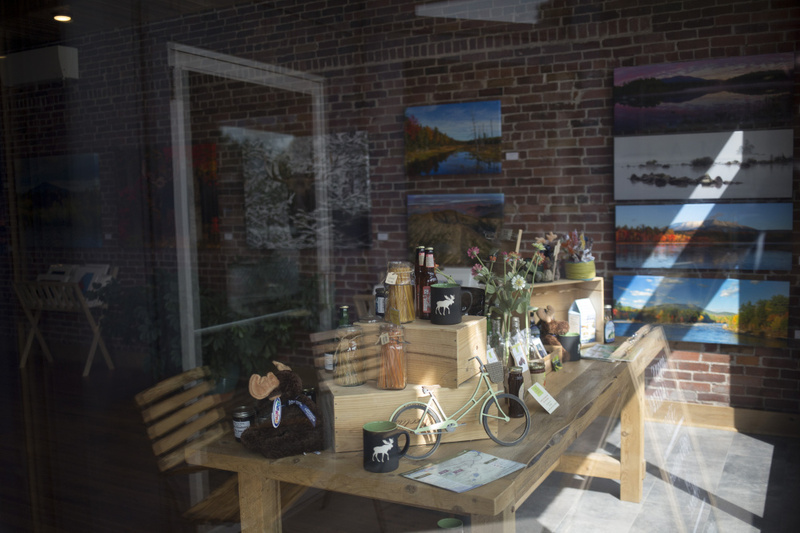 Both Millinocket and Patten are also seeing an uptick in foot traffic at local retailers, restaurants and other businesses after years of steady economic declines. In fact, both towns have seen new businesses open or existing businesses expand during the past year. 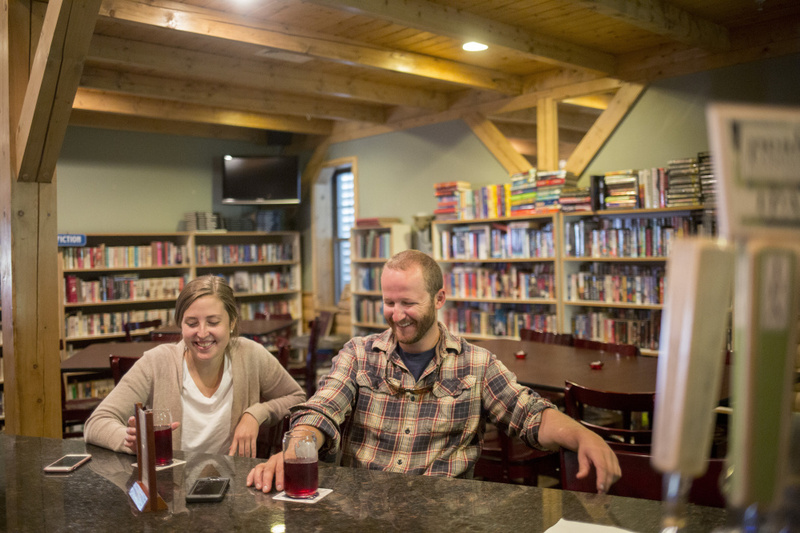 Turn the Page took over the space formerly occupied by Pelletier Loggers Family Restaurant – the establishment run by the family featured in the popular “American Loggers” reality show – but kept much of the trucking and timber themes. 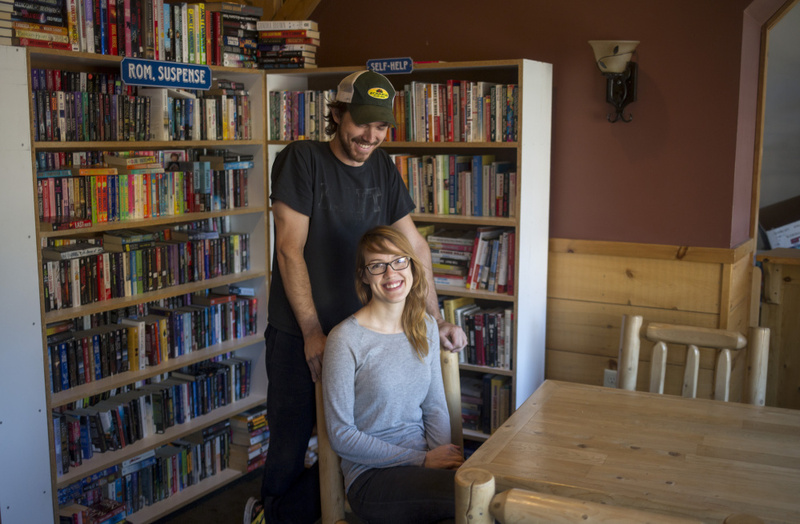 Golieb and his partner, Ashley Wells, opened the business six weeks ago and said they see a healthy mix of locals and visitors coming in to browse books, get a bite or have a Maine-made beer, cider or kombucha. 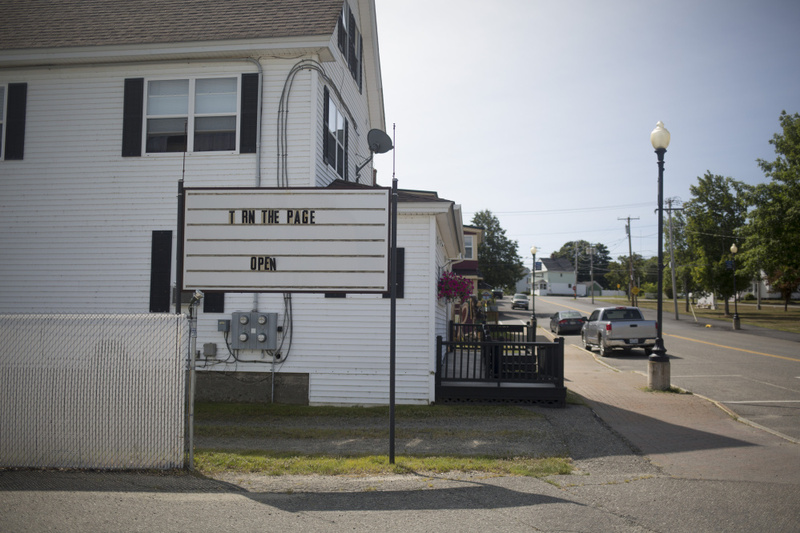 In fact, Penobscot Avenue was buzzing, if not necessarily busy, on Thursday morning as locals and tourists wandered in and out of the local shops. 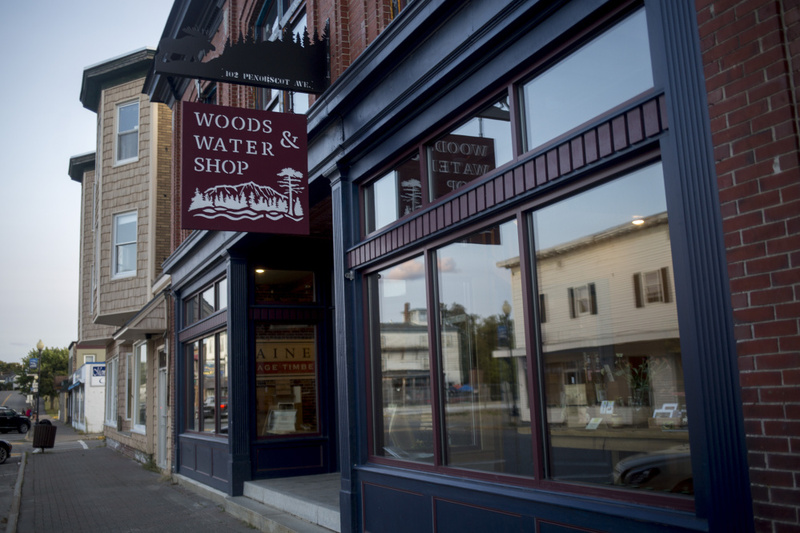 A few blocks down from Turn the Page, vocal monument supporter and businessman Matt Polstein opened Woods & Water Shop, a gift shop that sells Maine-made beer, cheese, coffee and wooden handicrafts, as well as wine and Katahdin Woods and Waters paraphernalia. 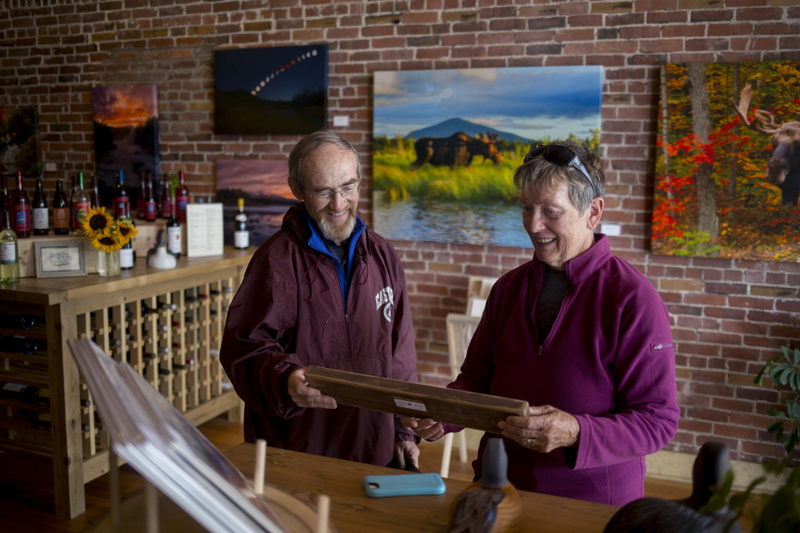 Next door, Maine Heritage Timber opened its first retail space to display furniture and other products made from timber salvaged from the Penobscot River decades or even generations after the timber sank during the drives. 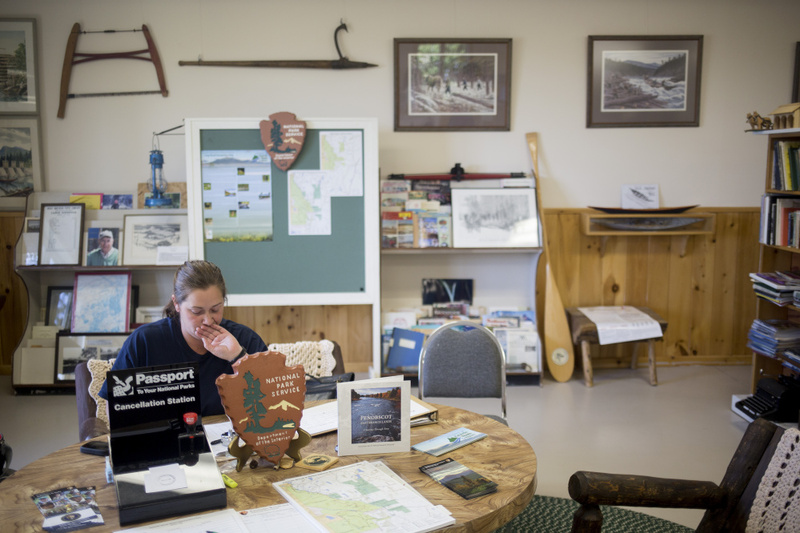 Polstein operates New England Outdoor Center, which offers cabin rentals, whitewater rafting, snowmobile rentals and other services outside of town on Millinocket Lake. He bought the large, prominent downtown building – which used to house a department store, a Sears catalog store and other retailers – several years ago and restored the interior. 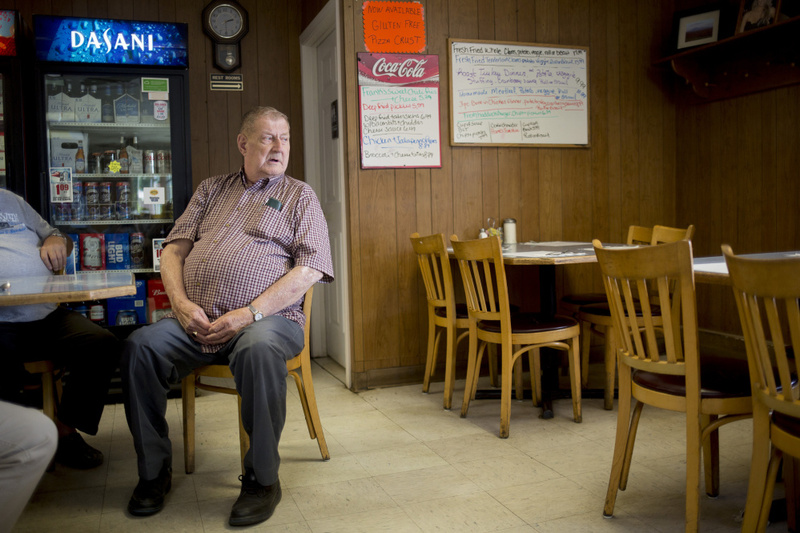 Among those who filtered through the Woods & Water Shop on Thursday was Peter Bolster, who grew up in Millinocket 70 years ago and remembers when any male could get a job at the Great Northern Paper mills the day after graduating from high school. Bolster had yet to visit the monument but planned to, eventually. “It may not be a tremendous economic advantage, but it is certainly not going to be a negative,” Bolster said. In Patten, the owner of Richardson’s Hardware – a Main Street institution for nearly 70 years – added an entire outdoor section, filling a second floor of the store, to capitalize on visitors to the monument. Several Katahdin-area real estate professionals have said sales are up since the designation, offering hope in a region where a single-family house can be bought for $30,000 or less. Obama created the 87,500-acre national monument on land donated to the federal government by the family of Roxanne Quimby, co-founder of the Burt’s Bees products line. 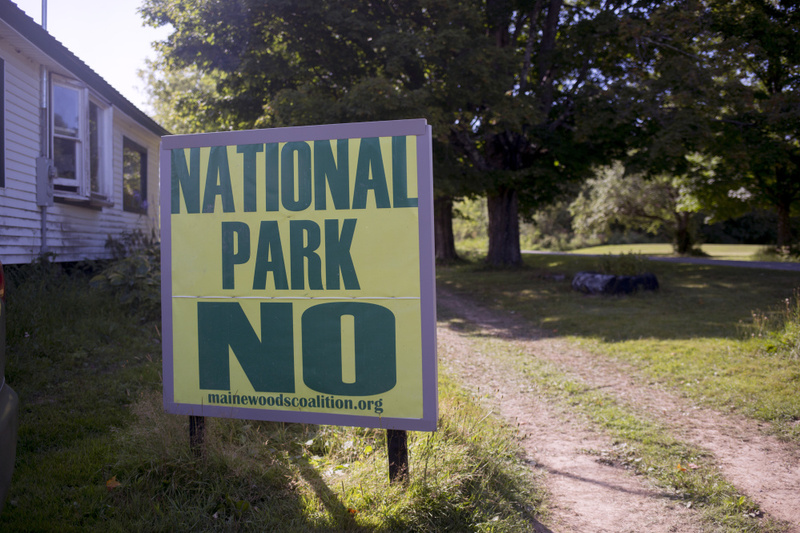 Quimby had been advocating for a North Woods national park for well over a decade but could not win necessary support from Maine’s congressional delegation. So her Elliotsville Plantation nonprofit, led by her son, Lucas St. Clair, switched the focus to a national monument because presidents can make such designations without congressional approval. In addition to the land, Quimby donated a $20 million endowment – with a pledge of another $20 million – to help pay for infrastructure and maintenance at the monument. 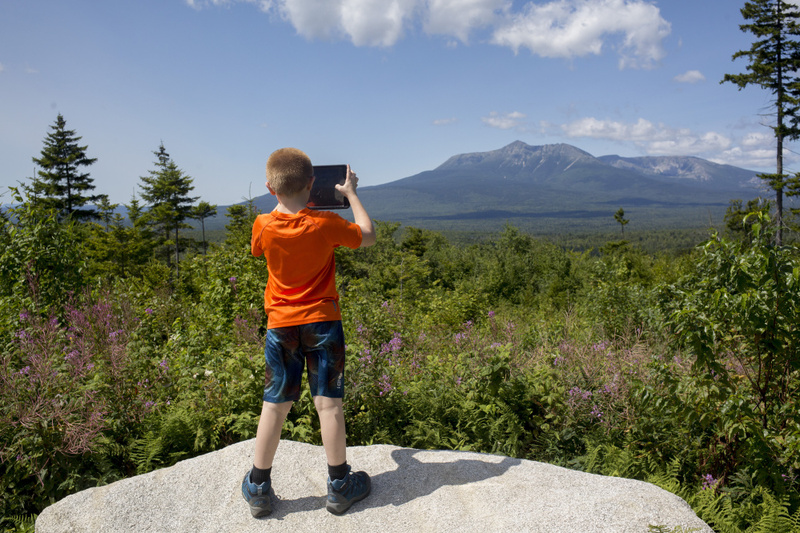 Standing atop “The Lookout” that offers sweeping views of mile-high Katahdin and the surrounding lakes and valleys, Durham residents Jennifer and Michael Fitzpatrick couldn’t say enough about the monument during their first visit. “It’s a gift to the state. When does that happen?” added Michael Fitzpatrick. But the monument still has its vocal opponents both in Augusta and the local communities. Residents of several local towns, including Medway and Patten, had opposed the creation of a park or monument in straw polls conducted before the designation, and the Legislature passed a resolution in 2016 opposing a monument. 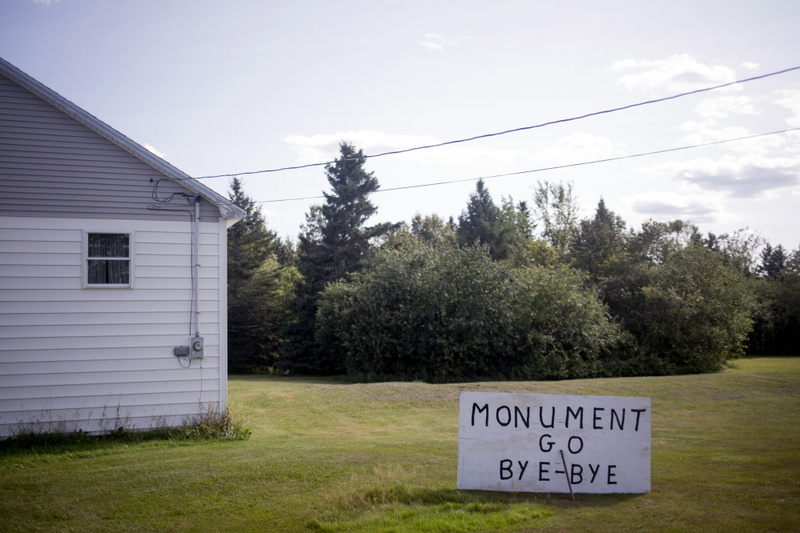 Driving Route 11 between Medway and Patten, as well as on some of the private roads needed to access the monument, it quickly becomes obvious that opposition remains high in some areas. A house on the corner of Route 11 and Swift Brook Road in Stacyville – a corner taken by nearly everyone entering the monument’s southern end – has a large wooden sign declaring “National Park NO.” Drivers are also greeted with signs declaring the owner of the private road as well as the private bridges also opposes the monument. The lingering resentment appears strongest in the towns of Stacyville, Sherman Mills and Sherman, judging by the numerous yellow-and-green “No national park for ME!” signs placed in yards and driveways. “Not everybody is for it,” said Mike Guiggey, who erected a large, handmade sign declaring “Monument go bye-bye” in his front yard. Hunting, fishing, snowmobiling and, more recently, ATV-riding are not only major pastimes for local residents but also support jobs in a region with few other economic opportunities. 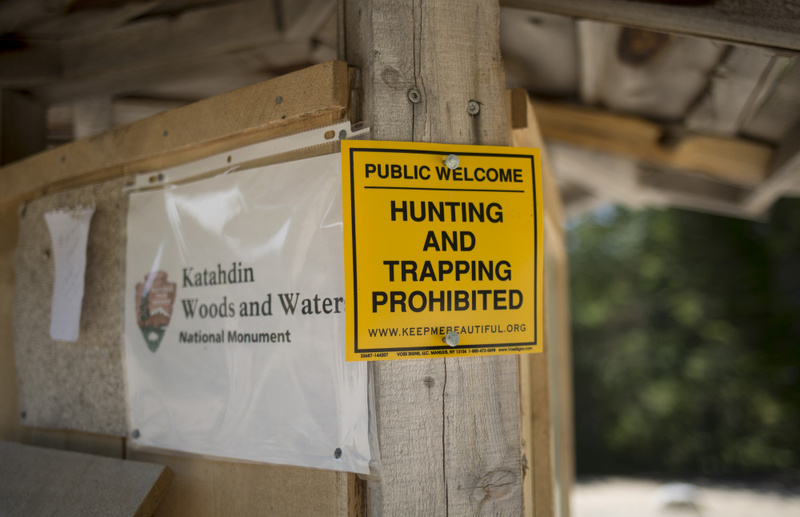 Fishing is allowed throughout Katahdin Woods and Waters, but hunting and snowmobiling are permissible only on about one-quarter or a third of the acreage. Many of those involved in the region’s timber industry also oppose the monument, fearing the federal government’s presence could lead to additional restrictions. Carl Hunt runs Hunt’s Guide Service out of his Stacyville home, one of many local residents who make a living or supplement their incomes by leading sportsmen to the fish, bear, moose or other critters they seek. Like other local opponents, Hunt’s resentment of Quimby stretches back to when she first purchased the land, put up gates to block vehicular access and then kicked some camp owners off lands they were leasing. And he doesn’t trust his new federal neighbors any more than he did Quimby. “There are going to be gates there eventually, and fees to keep it up,” said Hunt, who pointed out that several of the natural and man-made features in the area – including Hunt Mountain just beyond the monument boundaries – are named for his family. Hunt acknowledged that businesses in Millinocket or Patten may be seeing additional foot traffic from the monument, but he insisted those benefits aren’t trickling down to Stacyville. And he questioned what’s so special about a monument whose best feature is views of a mountain located in Baxter State Park. Others say that local attitudes are shifting, however. 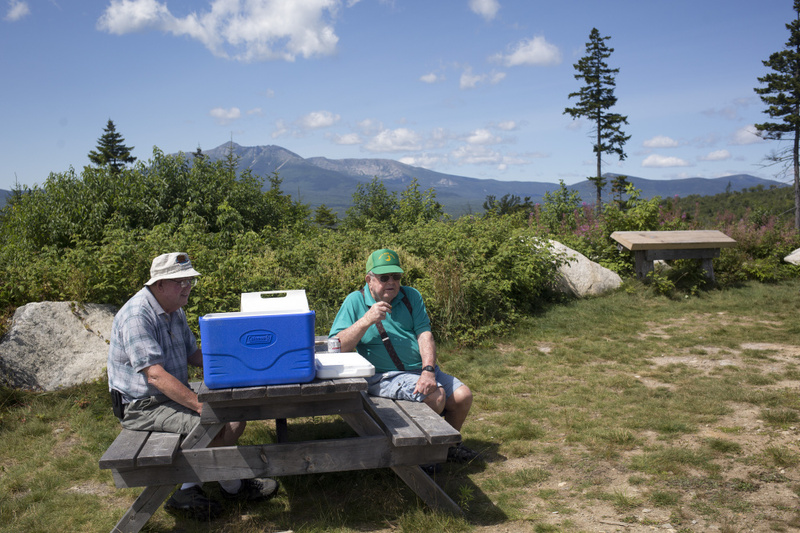 Brothers Douglas and Edward McCafferty, ages 80 and 88, made the trip from Mattawamkeag about 30 miles away to check out land they’d been on before but not since it was designated a national monument. 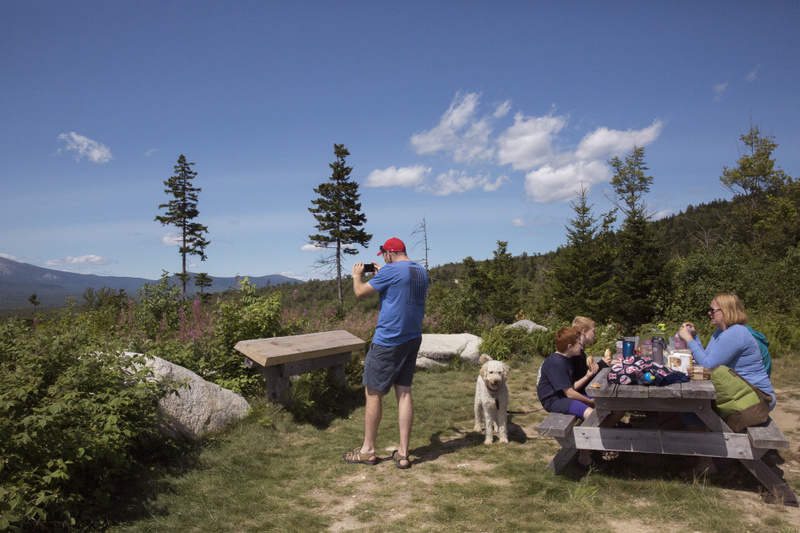 They drove the monument’s dirt and, at times, pothole-plagued roads in Douglas’ full-size SUV, pausing to check out the views and stop for lunch at The Lookout. In many ways, the brothers were emblematic of the changes happening in the Katahdin region. Both retired in their 50s after careers at the local paper mills at a time when Great Northern Paper and its immediate successors offered good wages, pensions and even land for camps. 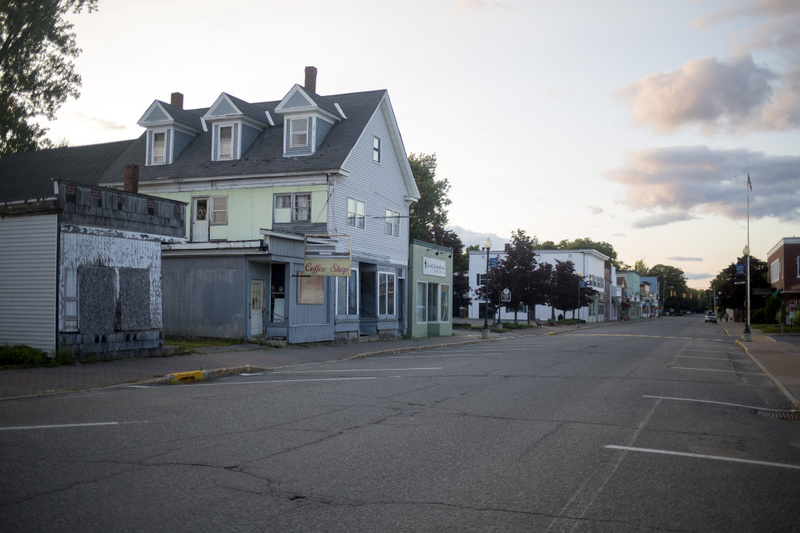 But the Millinocket and East Millinocket mills are now gone, and no industry has been able to replace the thousands of stable, good-paying jobs that were lost. The two were impressed with what they’d seen so far of the monument, although like many other visitors that day, they had a few suggestions.